Samuel Wesley (1766-1837), Composer and organist; nephew of John Wesley. Sitter in 2 portraits. 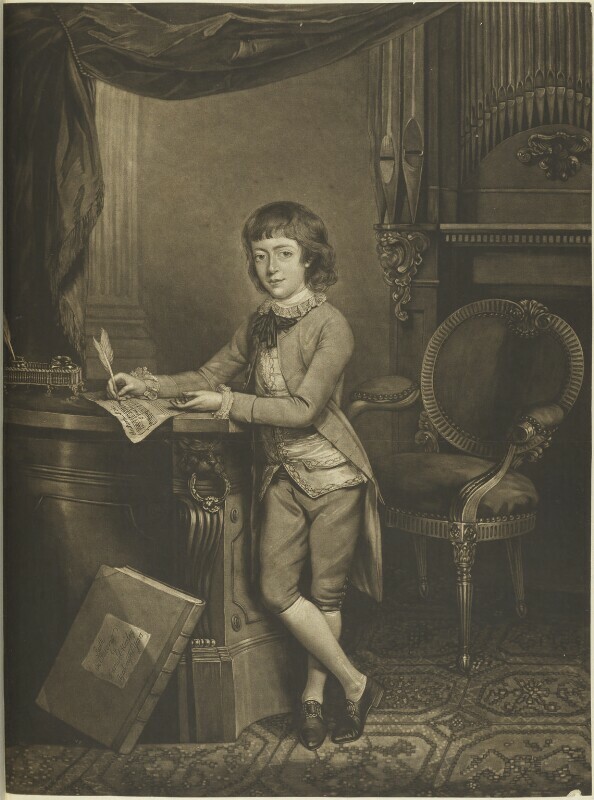 William Dickinson (1746-1823), Engraver and printseller. Artist associated with 84 portraits, Sitter in 2 portraits. John Russell (1745-1806), Portrait painter and pastellist. Artist associated with 102 portraits, Sitter associated with 6 portraits. J. Walker (active 1782). Artist associated with 4 portraits. Catholic Relief Act is the first to provide a measure of catholic emancipation, modifying the penal laws that effectively prevented Catholics from holding public office. The reform is encouraged by the Lord Chief Justice, Lord Mansfield, who had balked at various prosecutions under the statutes now repealed. Francis D'Arblay, writing as Fanny Burney, publishes her novel Evelina, or the History of a Young Lady's Entrance into the World, in which she satirises contemporary society. Engineer Joseph Bramah invents a type of flush toilet, replacing the usual slide valve with a hinged flap that seals the bottom of the bowl. American War of Independence: France, joining the American colonies in their fight against Britain, sends a large fleet across the Atlantic. The British rapidly abandon Philadelphia. The American naval hero John Paul Jones makes successful raids around the coasts of Britain. James Cook's third Pacific voyage, aboard the ships HMS Resolution and HMS Discovery, first views Oahu then Kauai in the Hawaiian Islands, which Cook names the Sandwich Islands.